Personal Care is designed for seniors who live active lives, but want the convenience of community living. 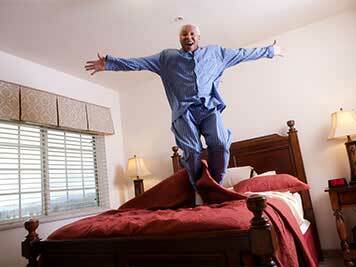 Personal Care combines customized assistance with the privacy of your own apartment home. Check out these tips and this personal visit checklist to assist you in the search for your new home. We proudly celebrate our Veterans. 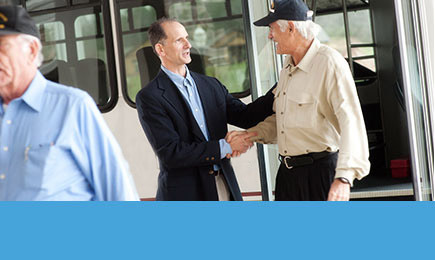 Click here to learn how we support our Veteran residents. Covenant Woods maintains a full calendar of scheduled activities to appeal to a wide variety of interests. From themed dances to guest speakers, we offer a full calendar of activities catered to seniors. Click here to see a list of our community’s features and amenities. 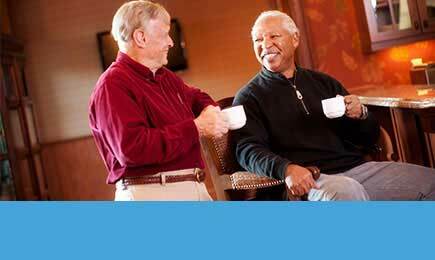 At Covenant Woods Retirement, you will discover a truly unique way to live. Our services are designed to meet each individual’s emotional and physical needs. Enjoy your retirement! We’ll take care of all the details while you enjoy a carefree lifestyle. We encourage our residents to explore new experiences and live an active lifestyle. Find out what residents are saying about our community. We understand that the value of an excellent dining experience is more than just a source of good nutrition – it's important on a social aspect as well. We also know that cuisine plays a major role in your lifestyle, and quite frankly, that you want to live where the food is always appetizing. This is why we take pride in providing flavorful, well-balanced meals in a friendly and inviting atmosphere. Our talented Chef prepares a varied menu featuring mouth-watering, fulfilling selections every day, including local favorites and regional fare. Residents can rest-assured there will always be options at mealtime and can enjoy their meals served by courteous, familiar staff in our community's restaurant-style dining room. We encourage our residents to invite guests to any meal. Residents are welcome to have their guests join them in the community dining room or they may wish to reserve the private dining room to host their gathering. Join the most innovative team in the Senior Living Industry. Let us be your guide through your retirement planning . 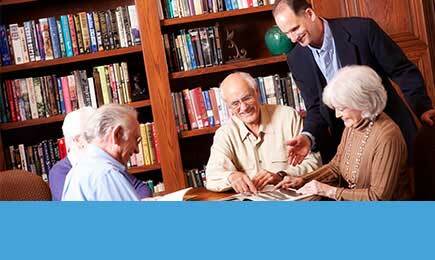 Our personalized care services will give you peace of mind. © 2017 Covenant Woods Retirement. All Rights Reserved.